Monza, Italy (AP) — The legions of red-clad Ferrari supporters streaming into the royal park that hosts the Italian Grand Prix are exhibiting a rediscovered air of enthusiasm. It’s been seven long, mostly disappointing years since Ferrari celebrated a home win. So with Sebastian Vettel leading the drivers’ standings entering this weekend’s race as the automaker celebrates its 70th anniversary, it’s understandable that expectations have increased for Formula One’s most famed team. While Ferrari great Michael Schumacher, a seven-time F1 champion, used to dominate at Monza and Ferrari holds the track record with 18 wins, the last driver for the team to triumph here was Fernando Alonso back in 2010. 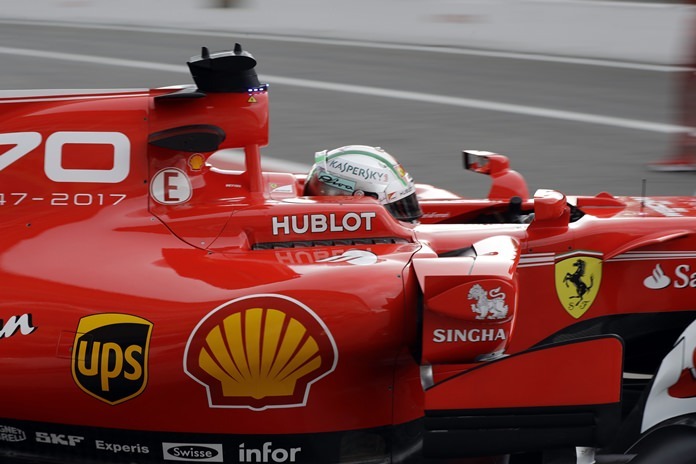 “To be honest, I was not aware of that,” Vettel said of the seven-year drought. “And in the team it is no topic at all. We are looking forward and not backwards. He won the first of his 46 F1 races here in 2008 driving for Toro Rosso. At the time he was the youngest winner of an F1 race, aged 21. It’s shaping up as another close battle after Vettel chased Hamilton throughout last weekend’s Belgian GP, almost catching him with 10 laps to go, before ultimately finishing second behind the Briton. While Mercedes has won the last three drivers’ titles, Ferrari hasn’t claimed the sport’s top prize since Raikkonen claimed his only championship a decade ago in his first term with the team. Before that, Schumacher won five consecutive titles from 2000-04. Ferrari’s last constructors’ title was in 2008. Since then, it has seen Red Bull — four straight drivers’ and constructors’ titles with Vettel behind the wheel from 2010-13 — and then Mercedes dominate. It’s far tighter this year, with Hamilton winning five races to Vettel’s four. Sunday’s race should again be an exclusive affair between Mercedes and Ferrari as both Red Bulls are taking grid penalties following engine changes. The fans are certainly ready to cheer a red car to victory. “If you can dream, you can do it,” read a red Ferrari banner lining the track’s main straightaway.